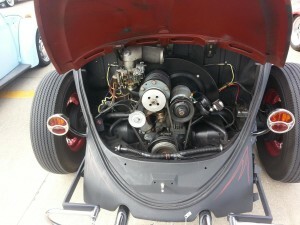 Saturday, October 11th, marked the 13th annual Annual Volktoberfest VW show Show and Swap Meet held by the Circle City Volkswagen Club (CCVW) in Fishers, Indiana. 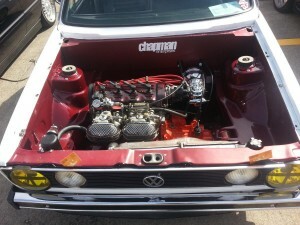 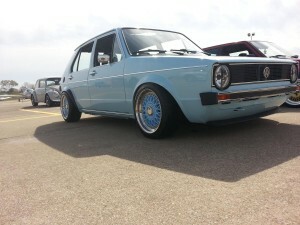 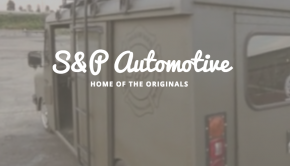 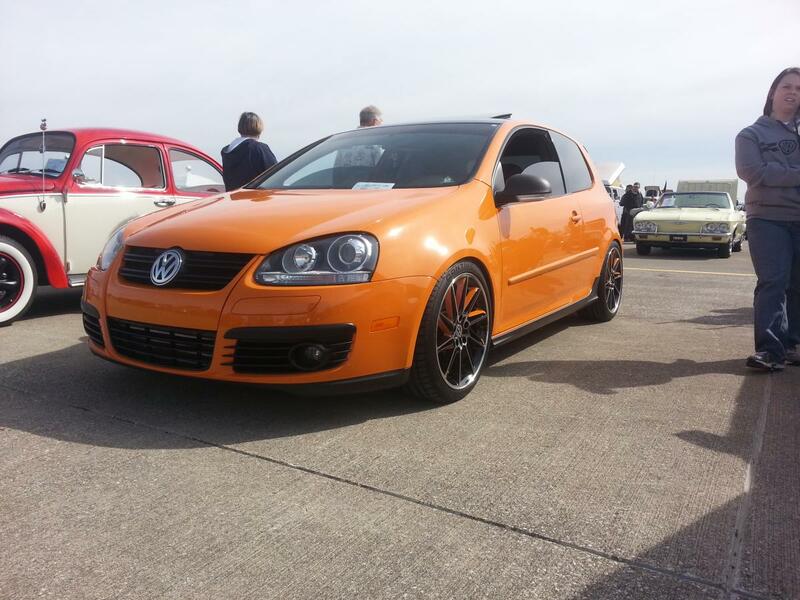 In its 13 years of existence, the this car show has steadily grown to one of the area’s best VW shows. 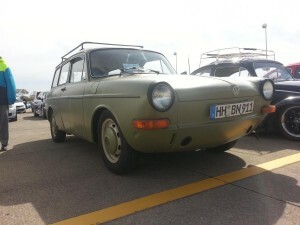 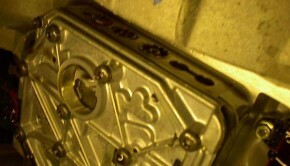 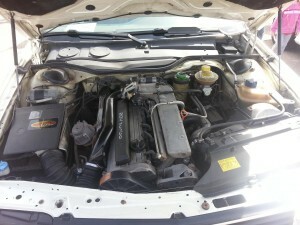 Volktoberfest is not exclusive to air-cooled or water-cooled VWs; they also welcome Porsche, Audi, and even the occaisional Honda or motorcycle. 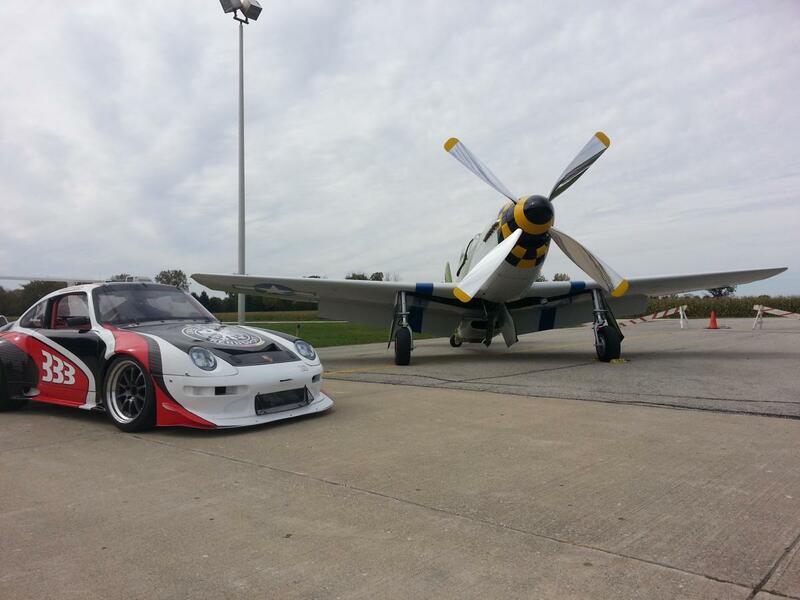 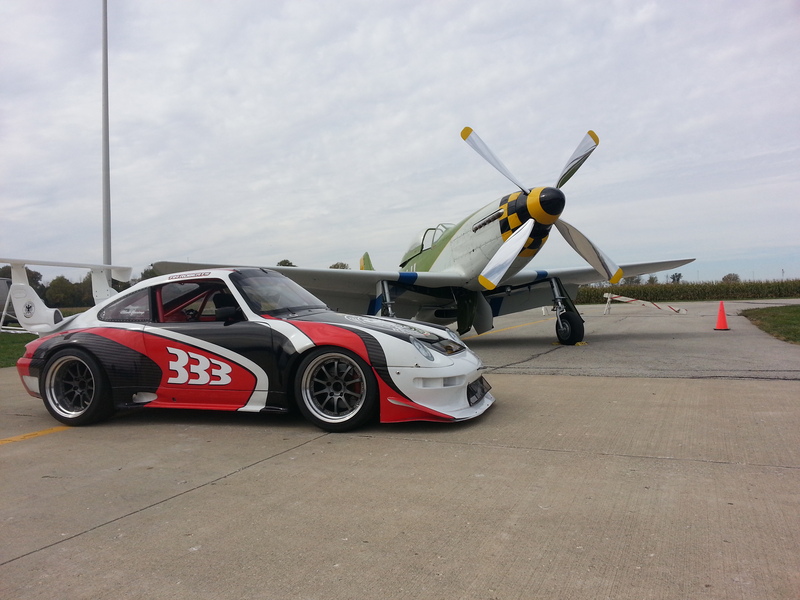 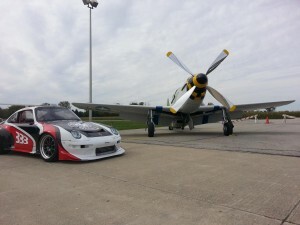 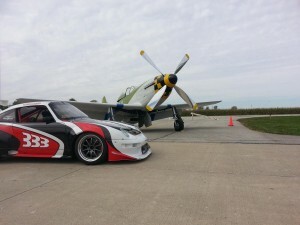 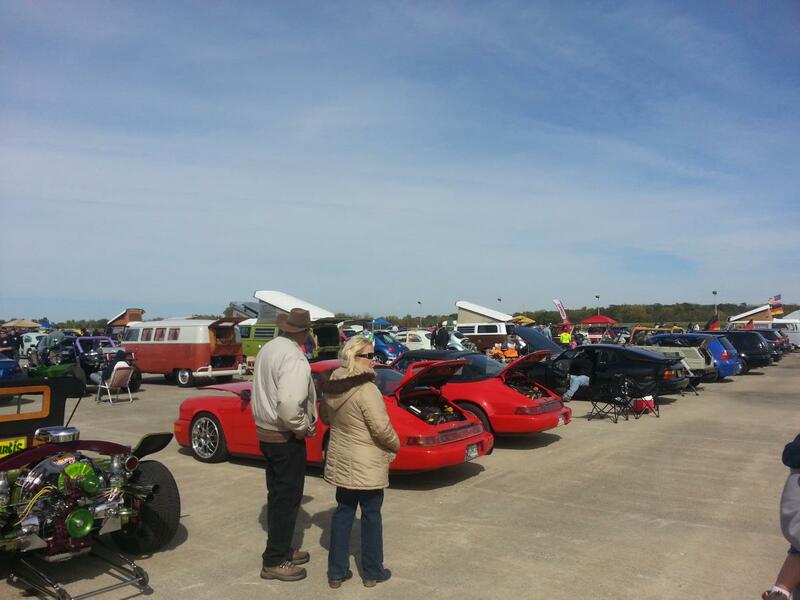 In addition, they showcase a vast collection of vintage airplanes. 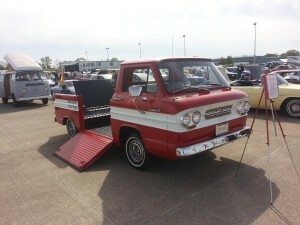 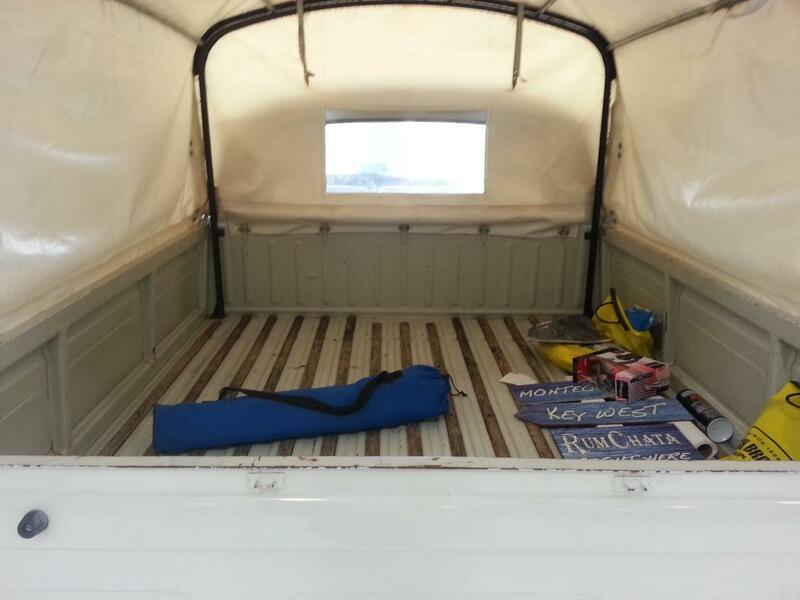 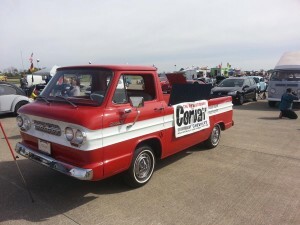 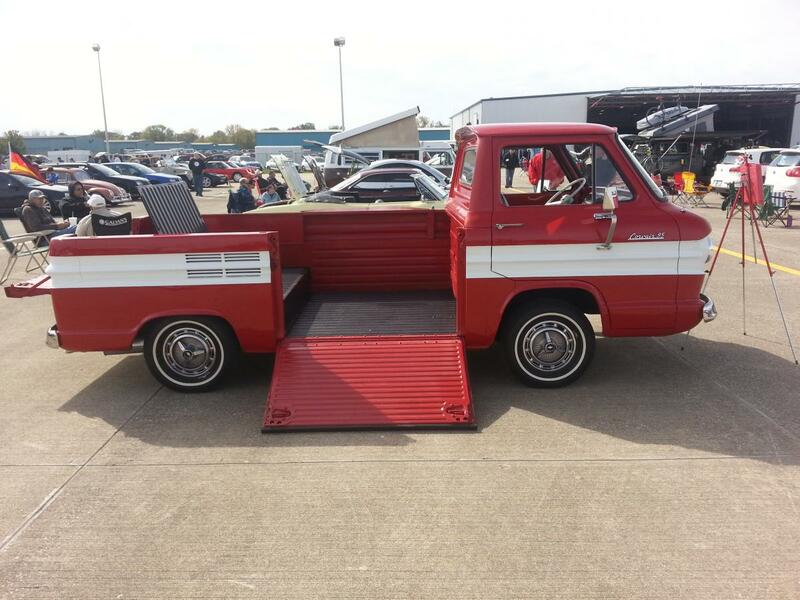 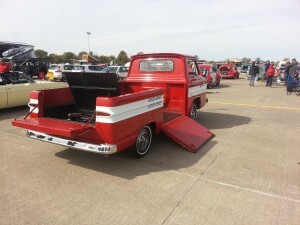 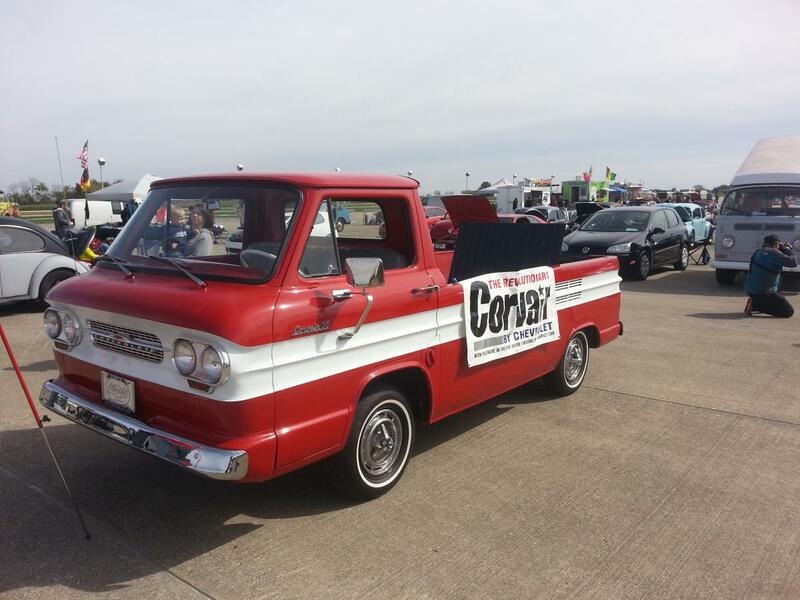 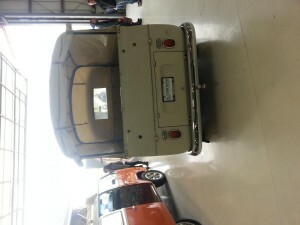 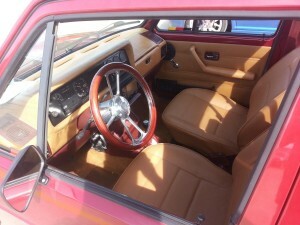 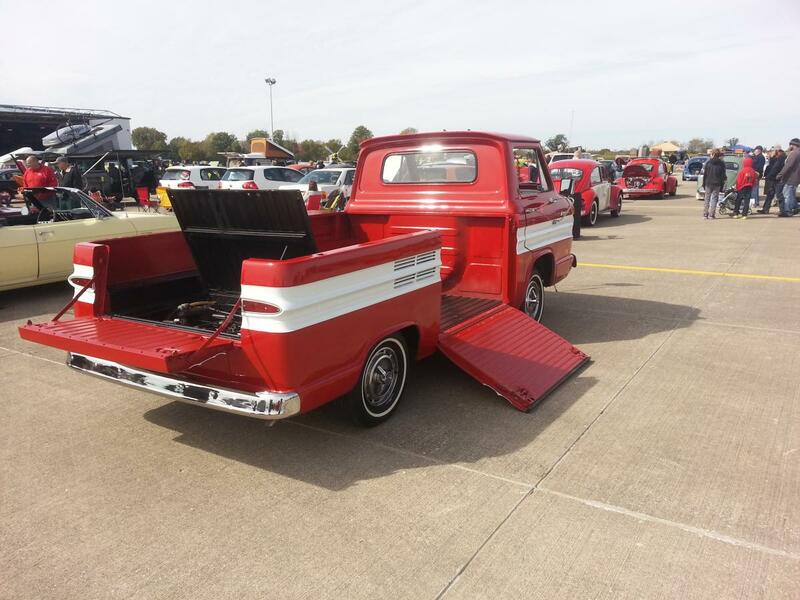 This year, there was even a super nice Corvair ramp-bed pickup. 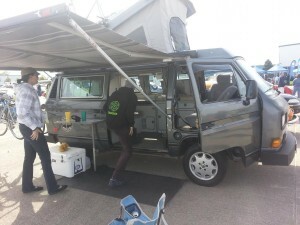 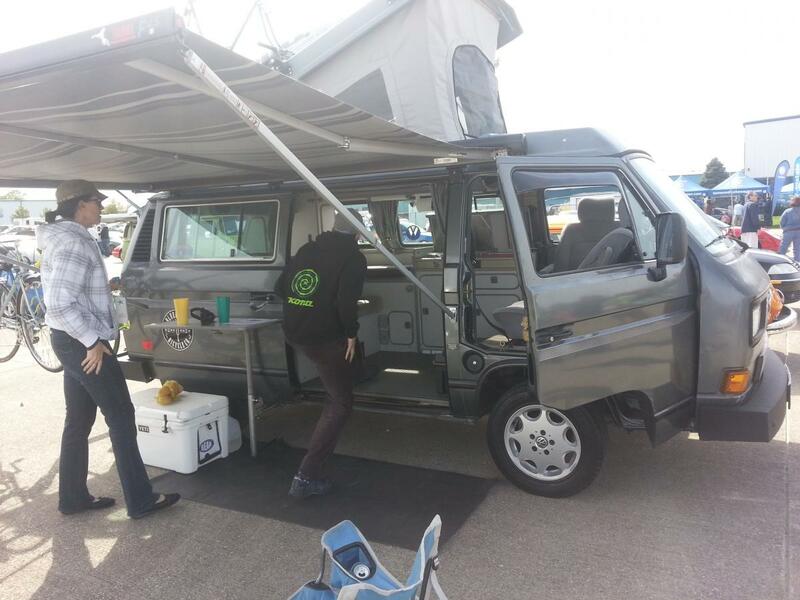 It has a nice and relaxed atmosphere, plenty of great food and music, lots of cool prizes given out to attendees, and best of all – It’s FREE to enter your car. 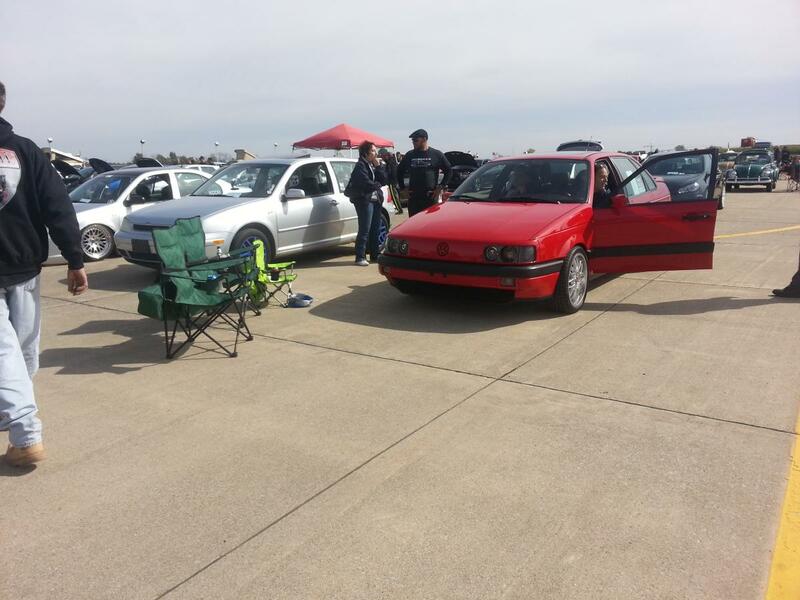 CCVW was founded in 2001 and has steadily grown increased membership to 45 members in 2010 when Buck Bailey was elected President. 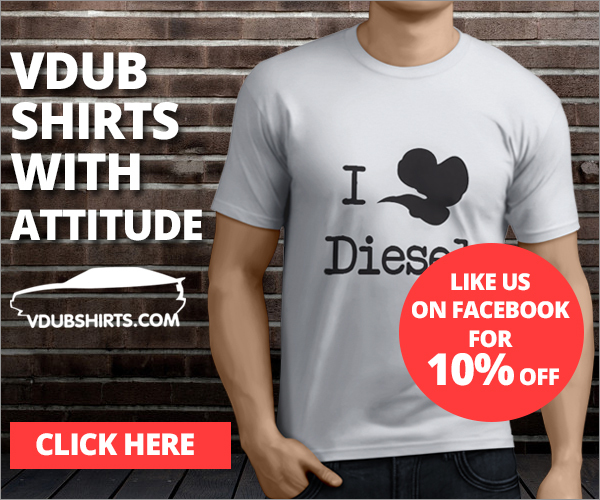 Currently, they are 116 members strong and growing. 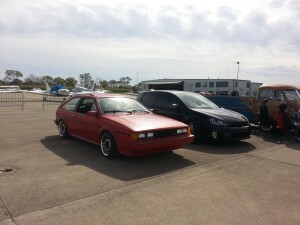 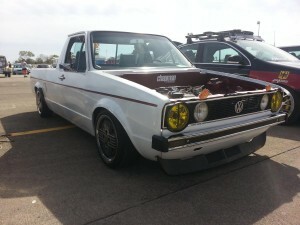 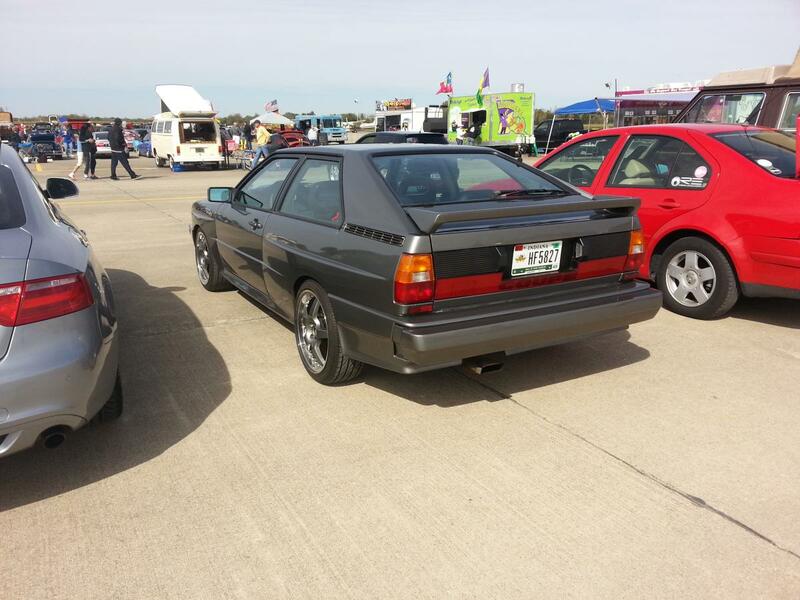 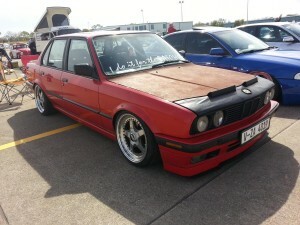 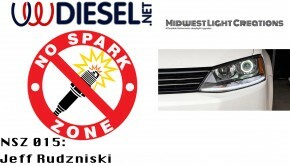 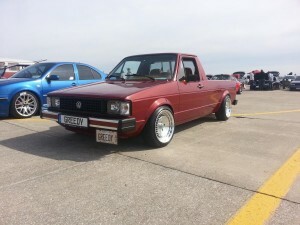 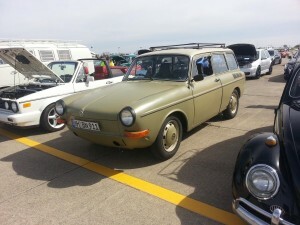 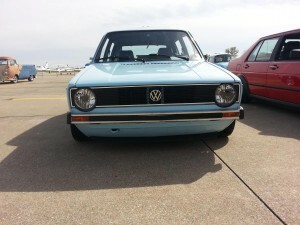 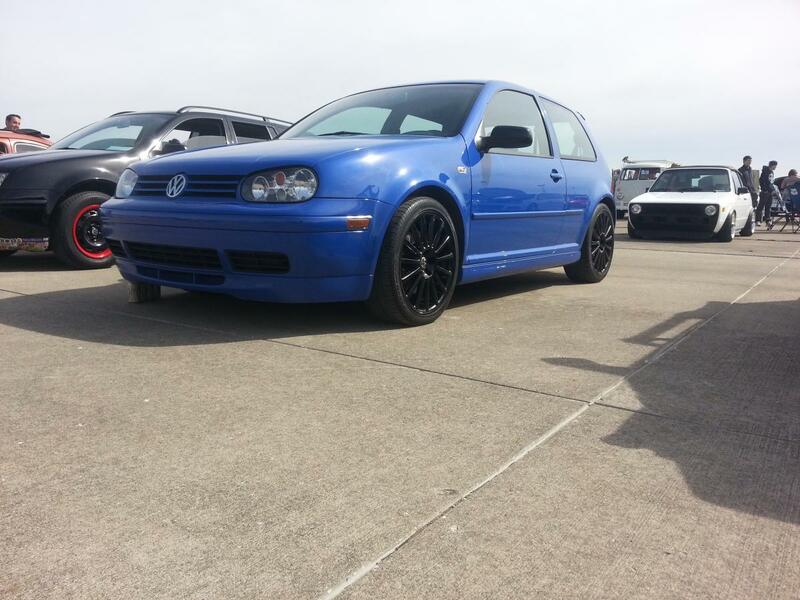 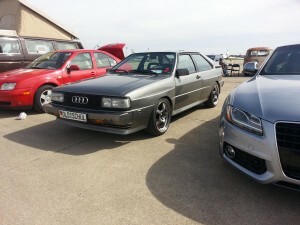 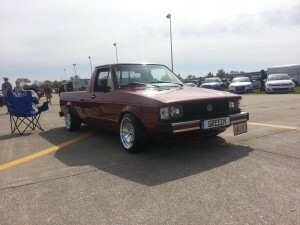 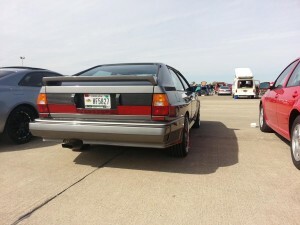 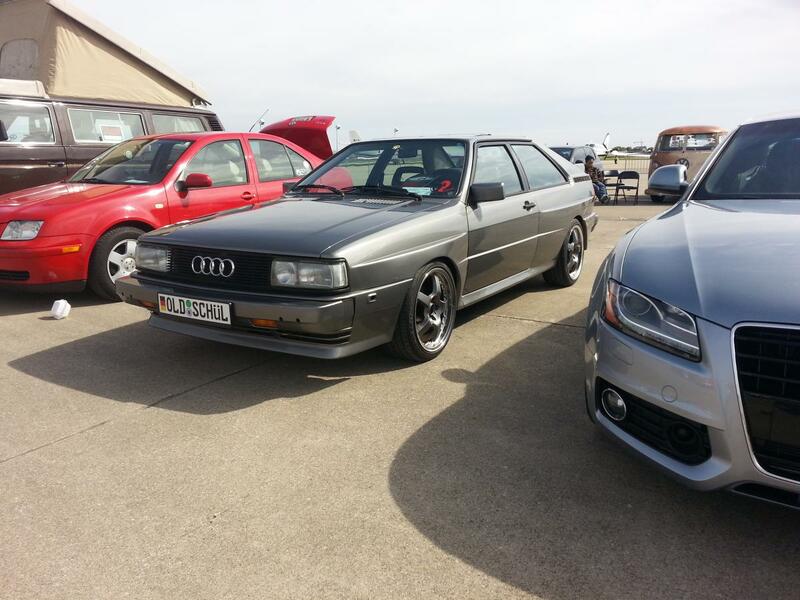 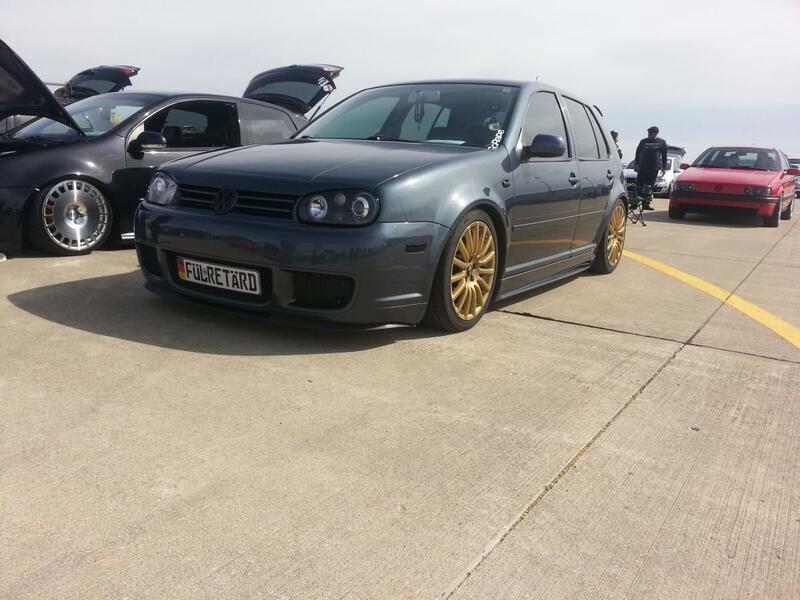 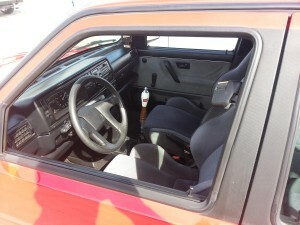 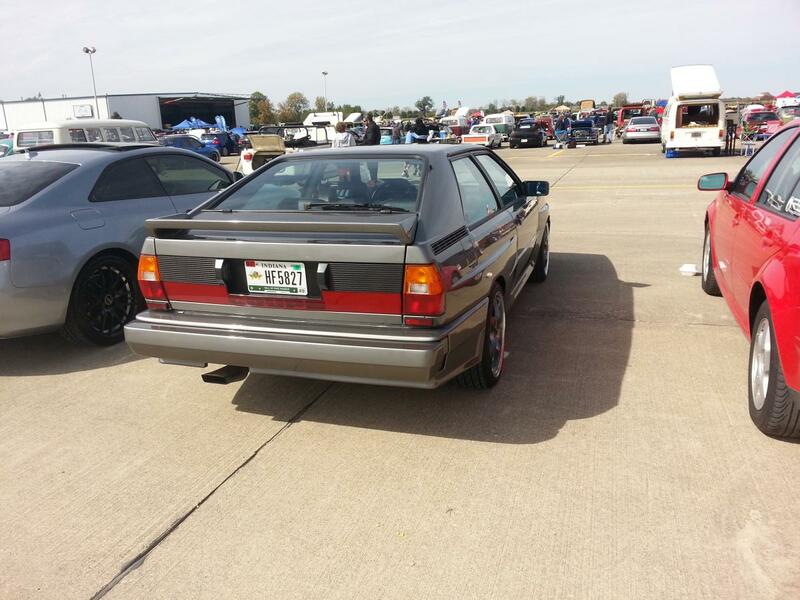 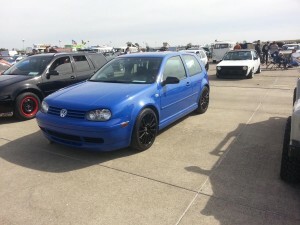 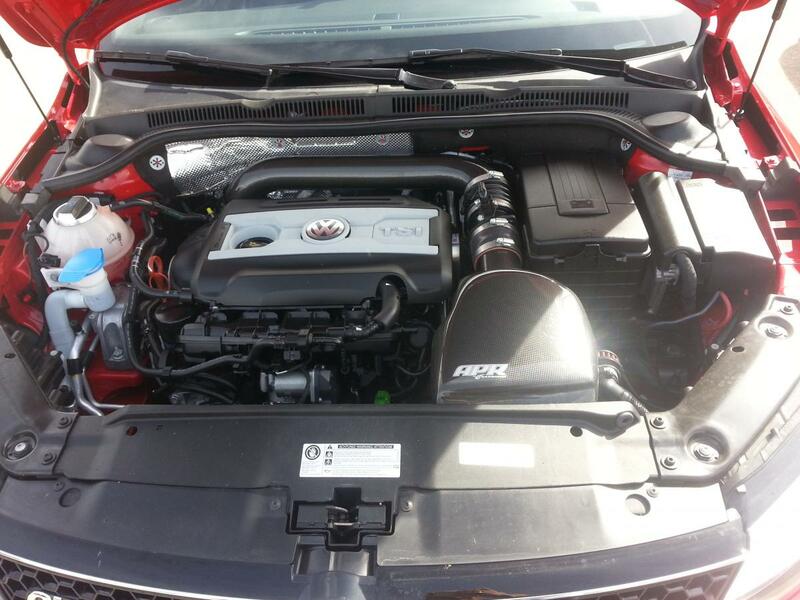 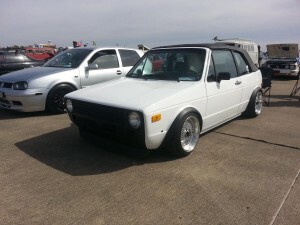 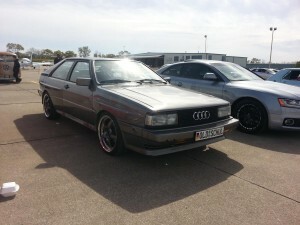 Through the efforts of CCVW President Buck Bailey, and many countless others, Volktoberfest has expanded from a show of under less than 100 cars in 2010 to over 325 cars in 2014. 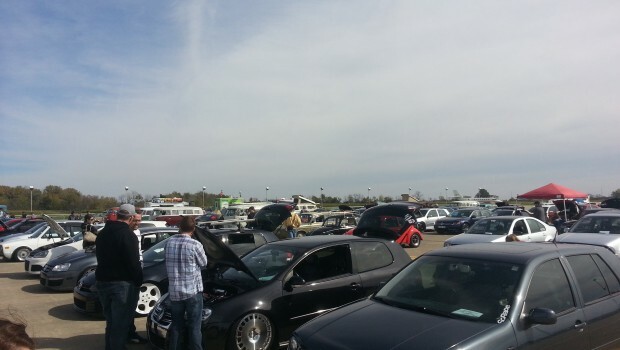 Two hundred and fifty of which were pre-registered, and numerous additional cars in the parking lot and parked way down along the road. (One of which was mine… parked waaaay down at the end because I arrived late and couldn’t get a good spot). 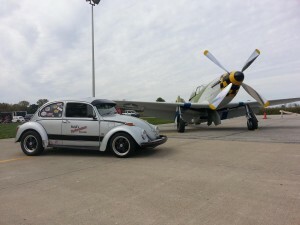 Arriving late, I missed out on some of the fun like ‘Get your car’s picture taken with a P-51 Mustang’ and the door prizes given out by the shows sponsors like including Tom Wood VW and Buggy Works. 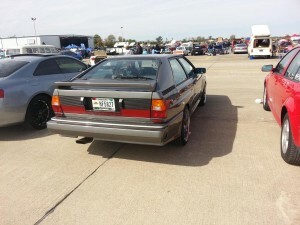 Late-comers like me still had plenty of time for fun, though. 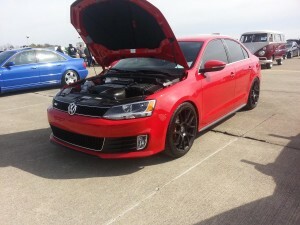 My two-year old son was hard to contain as I took pictures of cars. He kept trying to get into each car and check them out on the inside for me. The atmosphere of the show was one of VW love and appreciation without any drama that some shows seem to have. 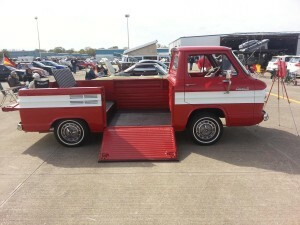 The swap meet area was full of goodies just waiting to be had. 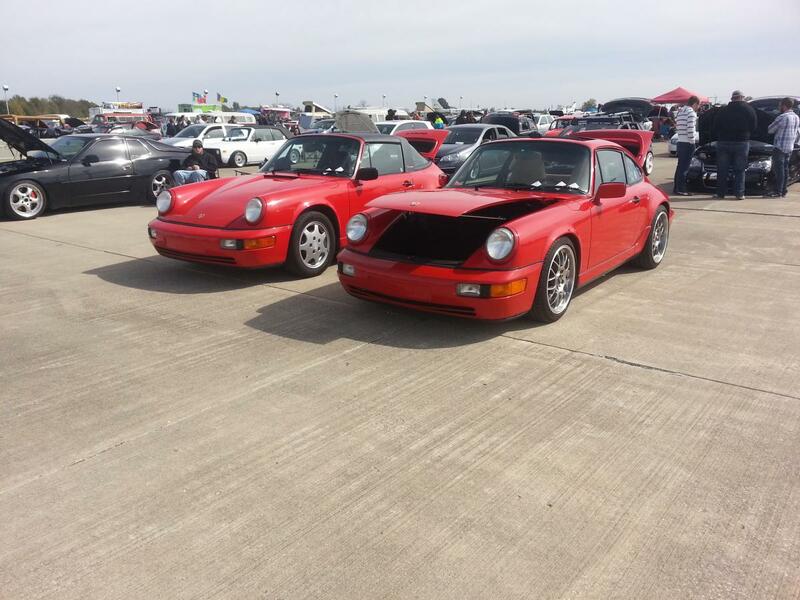 The only downside was the bathroom line – which which was in the swap meet area. 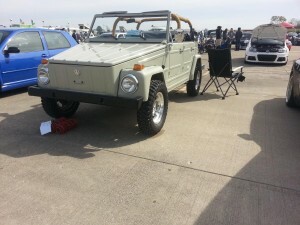 The more I stood in line, the more stuff I wanted to buy. 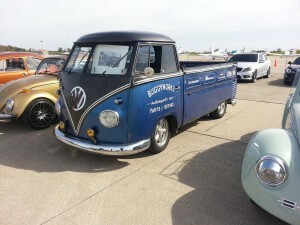 Not a good thing when you already have over 40 VWs and basically 3 buildings full of parts, like I do. 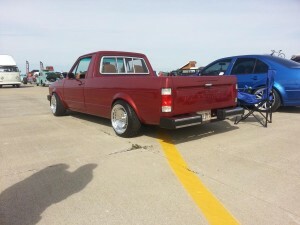 Well played CCVW… well played. 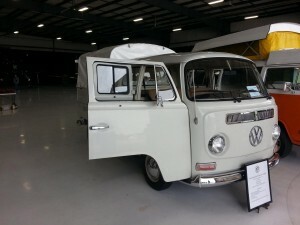 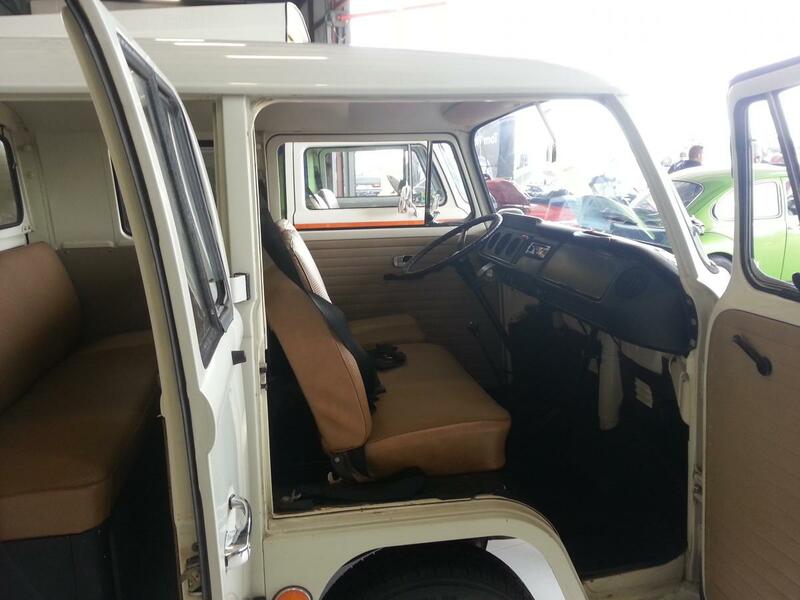 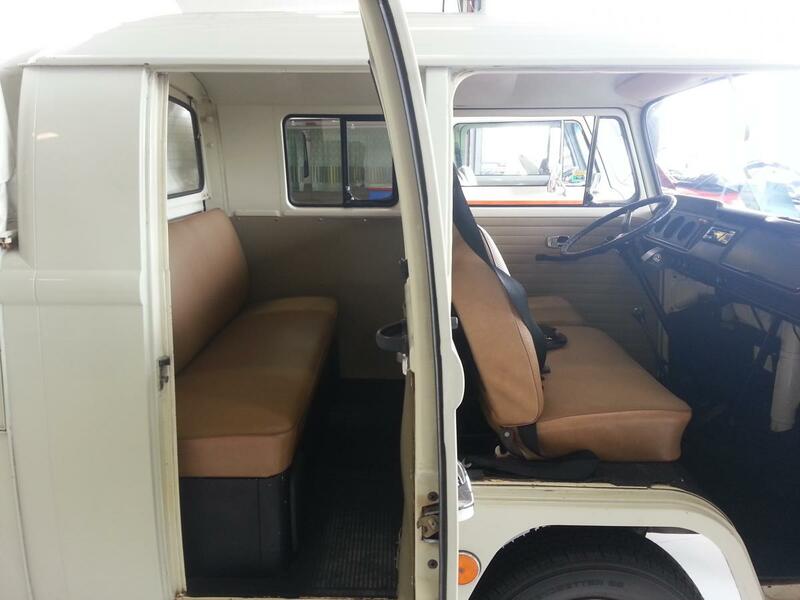 Some of the cars that stood out to me the most was were the super clean, baby- blue ‘81 Rabbit 4- door, the custom shorty VW Bus, a Ford- powered Vanagon camper, and the Judson powered Volksrod. 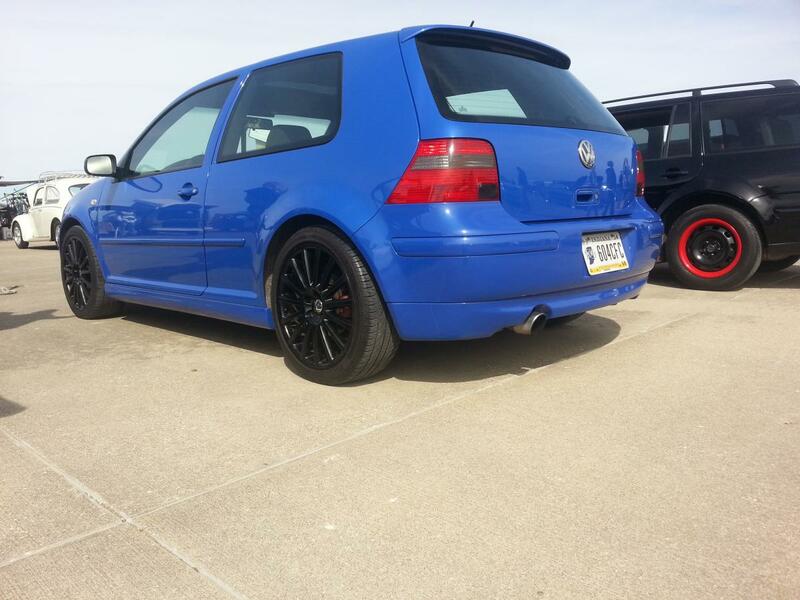 Picking my favorite would be way too hard. 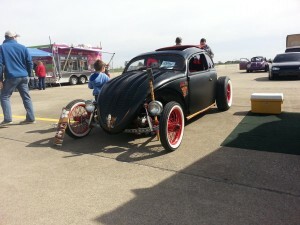 Luckily I wasn’t a judge, but here are the official results from the judges. 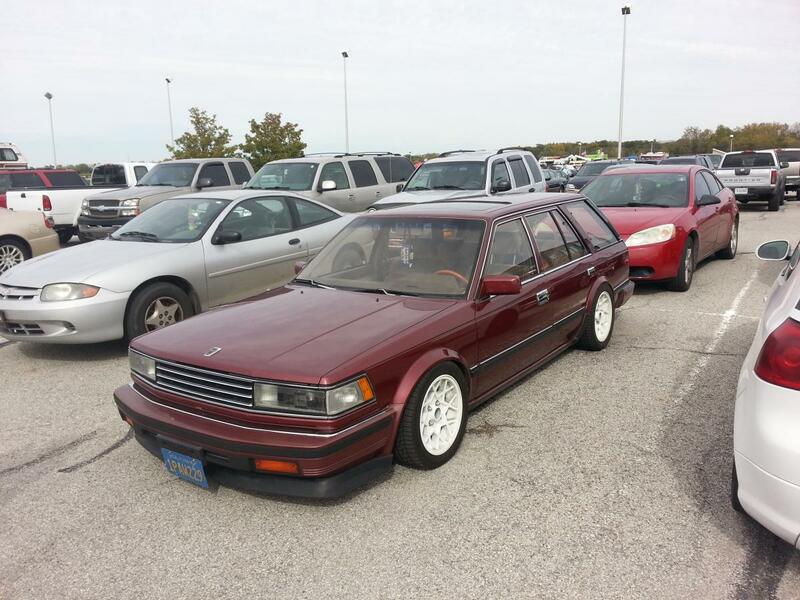 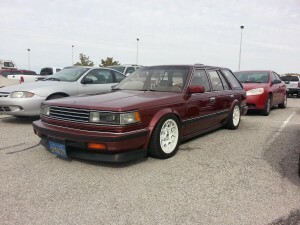 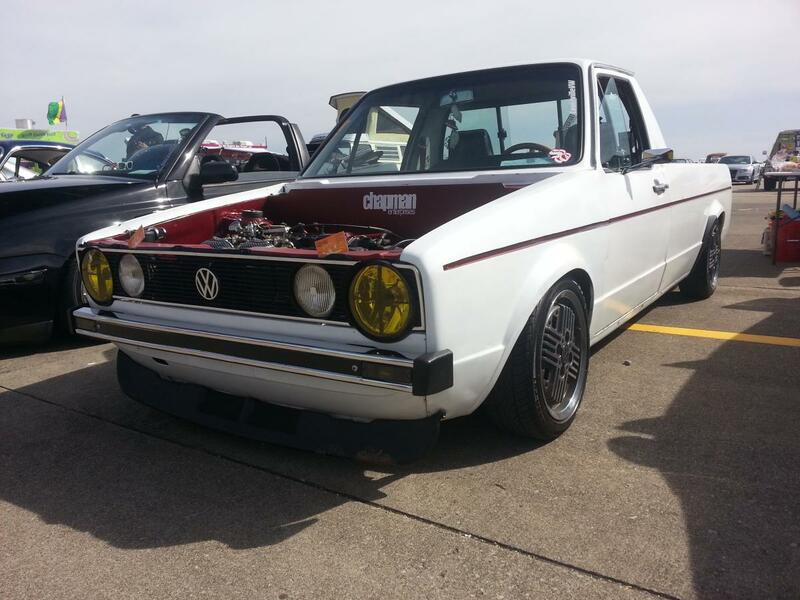 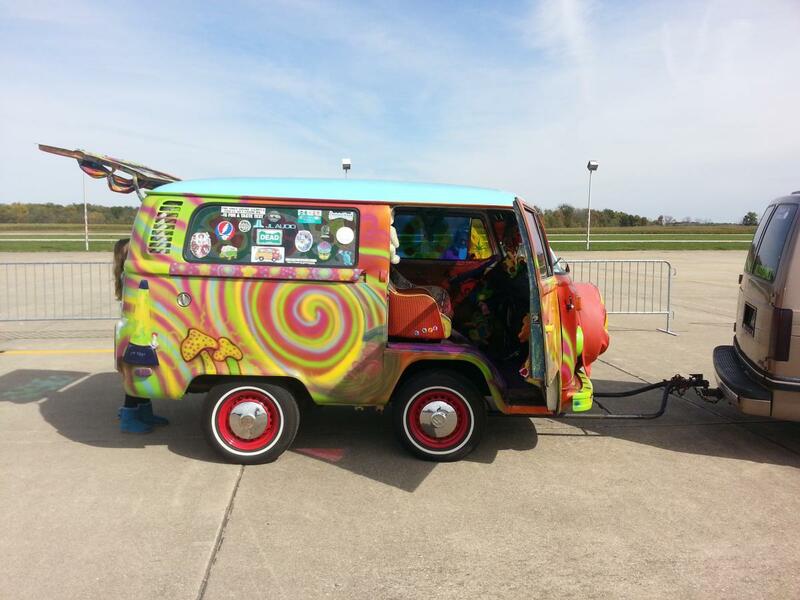 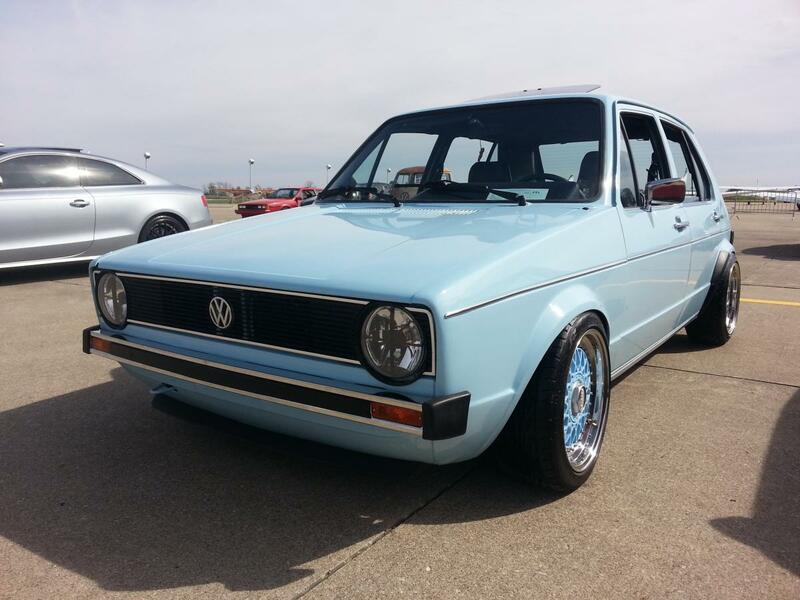 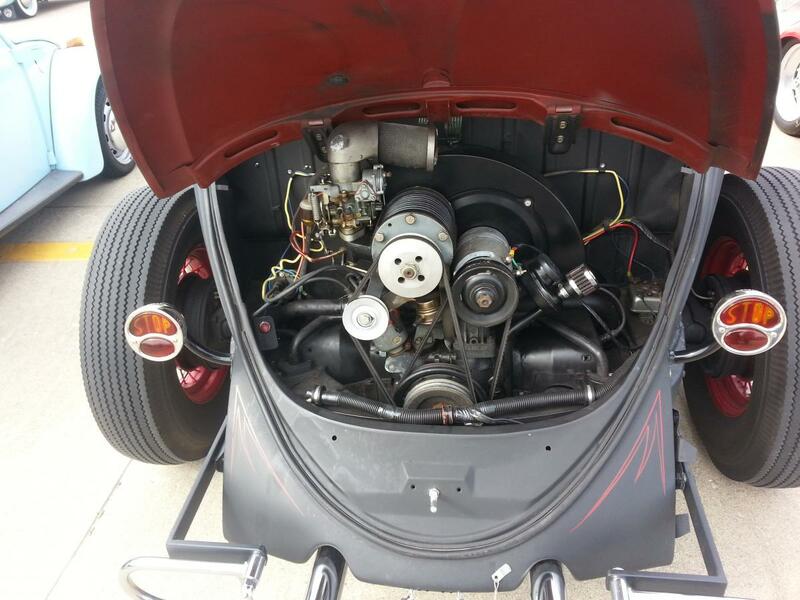 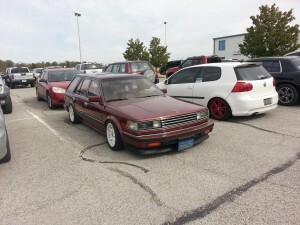 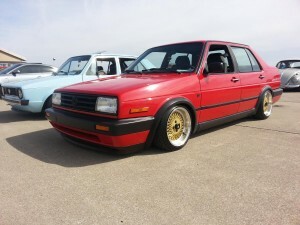 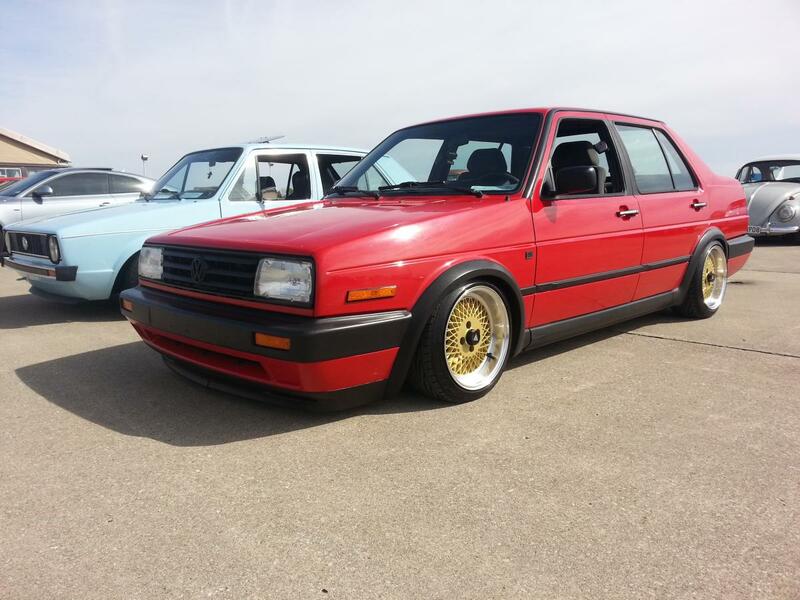 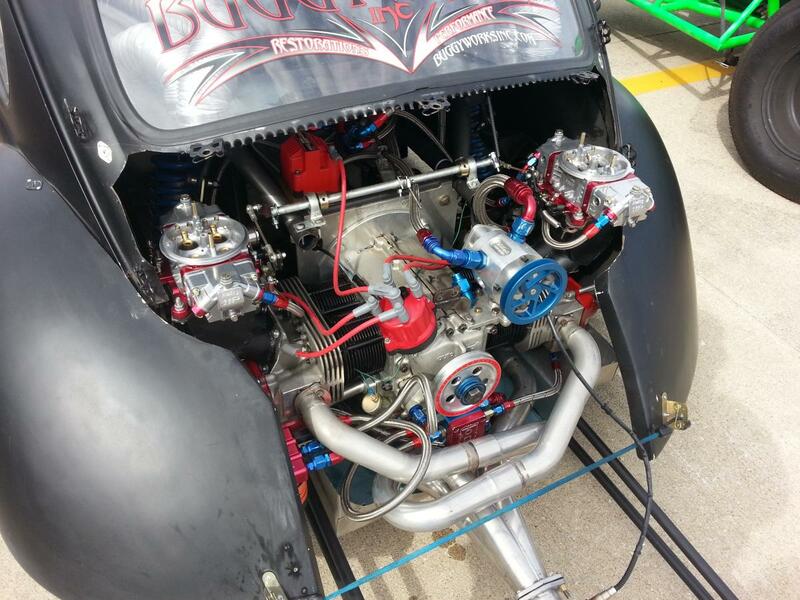 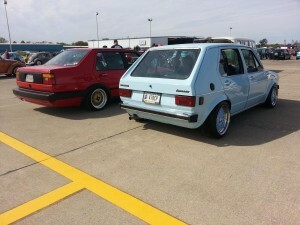 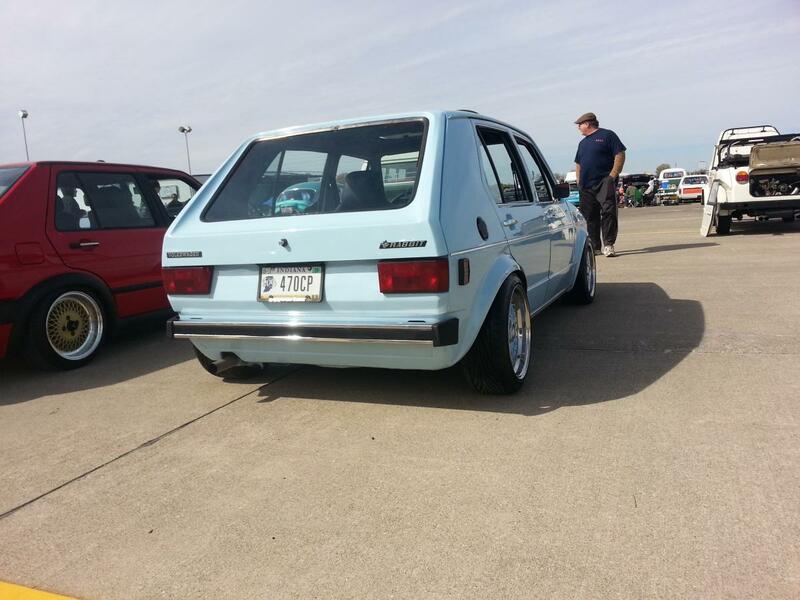 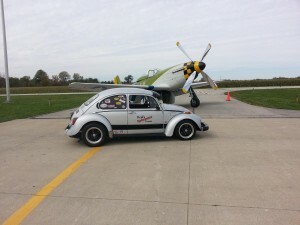 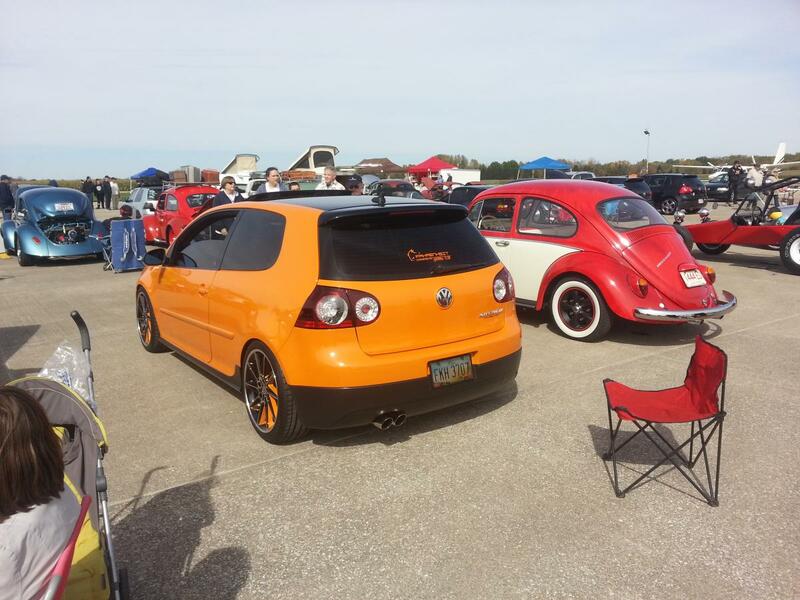 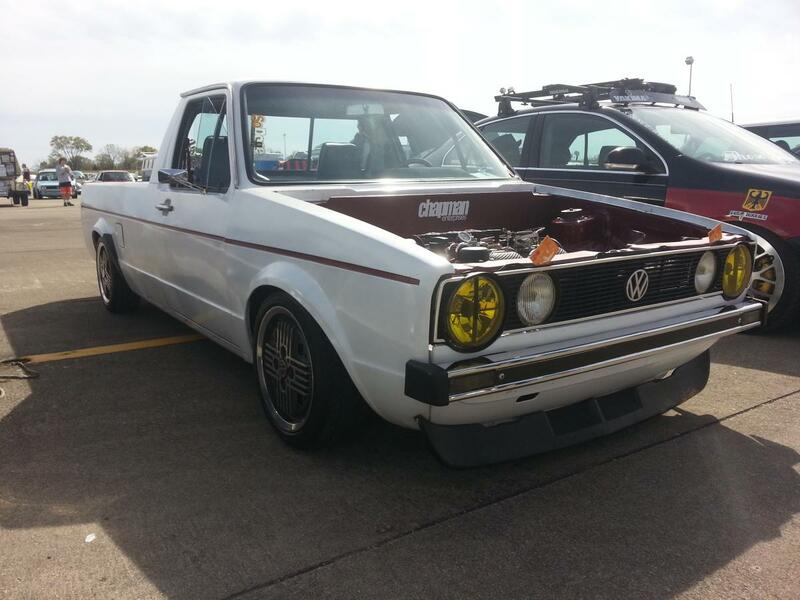 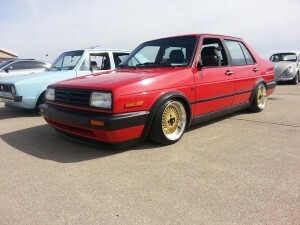 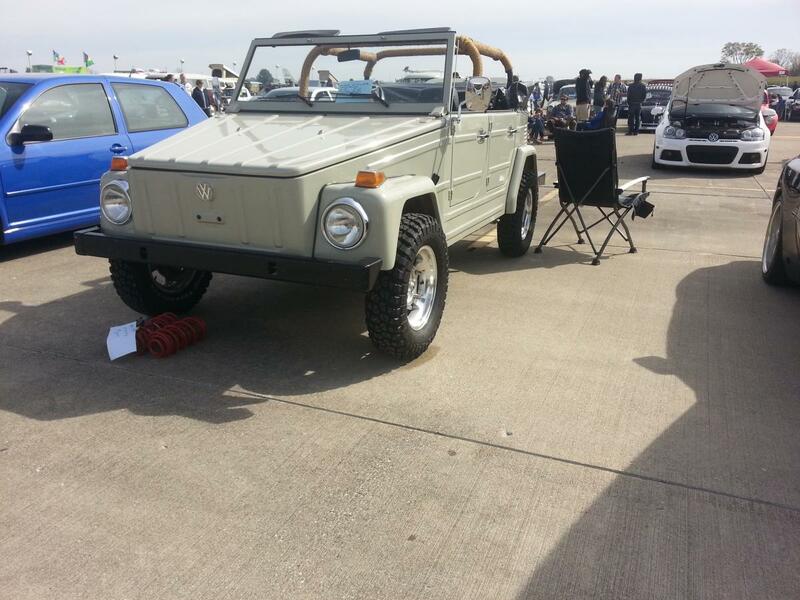 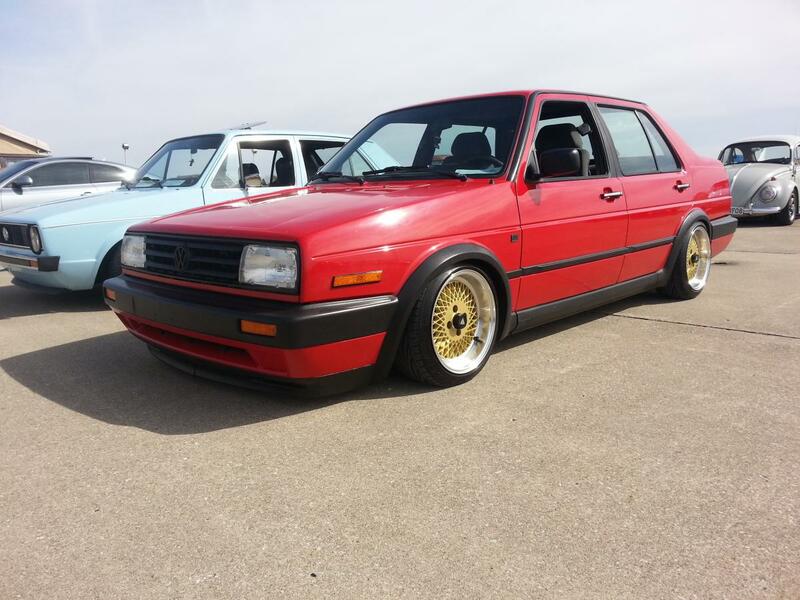 The 14th Annual CCVW Volktoberfest 2015 Car Show / Swap Meet will be held on October 10th, 2015 at the Indianapolis Metropolitan Airport. 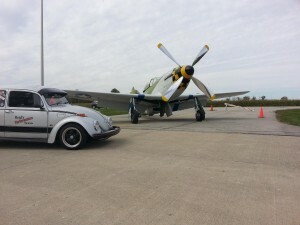 If you are within a 3 or 4 hour driving distance from Indianapolis, I would strongly suggest you make put this show on your list calendar for next year. 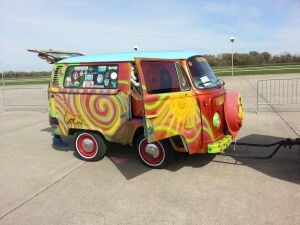 Honestly, even if you are farther away – plan to come,; you won’t be disappointed. 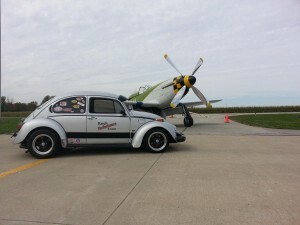 Now, on with the pics!